Turn two men's shirts in to a dress! This is a really cool and easy project that should take no more than ten minutes. It’s very Vivienne Westwood! Posted by Selena Francis-Bryden • Published 5th October 2010 © 2019 Selena Francis-Bryden / Laurence King · Reproduced with permission. 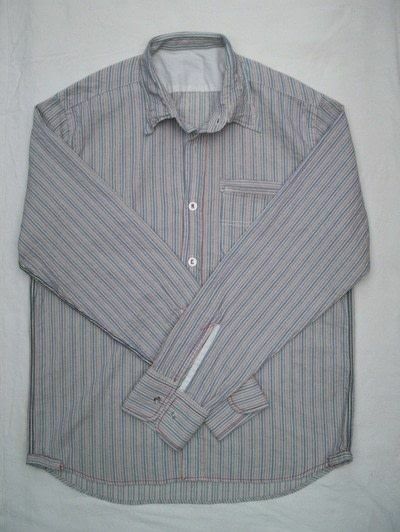 Men’s shirts are usually sold by neck size, which makes it quite easy to work out what size shirts you will need. Two 16-in neck shirts equate to a 32-in waist. It’s fine to have it slightly larger, but you never want it too small. Take two shirts. Make sure that they have a similar – or the same – number and settings of buttons. Try to get two that are tonally alike, and have a similar theme or colour. 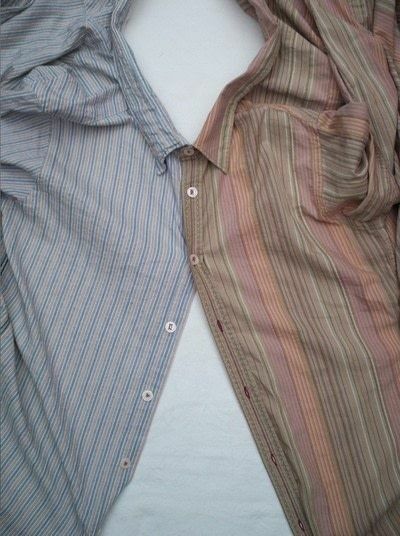 Make sure that your shirts are clean and ironed. 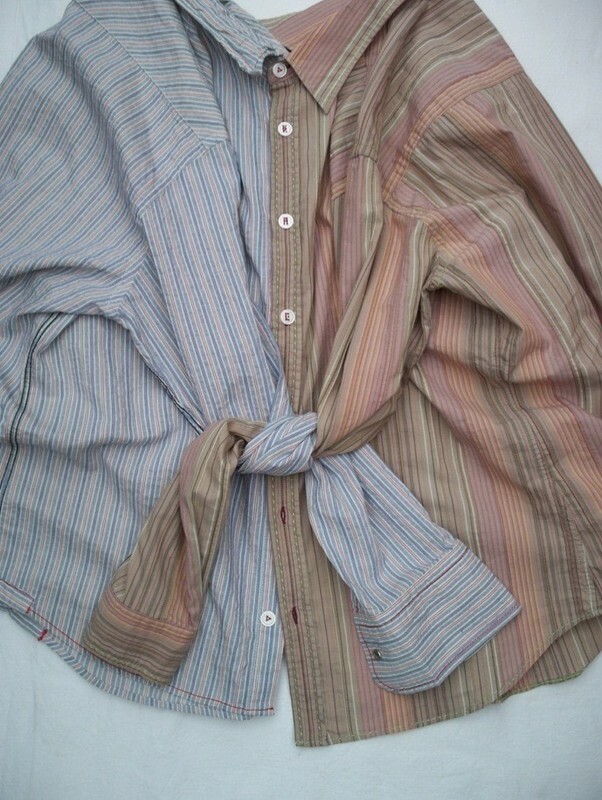 Button the two shirts to each other. Take one sleeve from each shirt and loosely tie them together. Do the same on the other side. 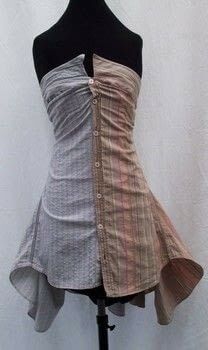 For the dress, tie both sleeves around the back. You can add straps if you wish. Old military shirts look great in this style and are easy to wear. You could also add some ethnic fabric for a great boho look. Can someone help me? I have 2 shirts, but one of them just goes backwards. Do you have to cut it or anything? Does anybody have any tips for tying it in the back? Everytime I try it just looks bulky and not very nice. Any ideas on how to make it really cute in the back? wow!! cant wait to try this!! I have made it and it's fabulous.. so simple and so cute!